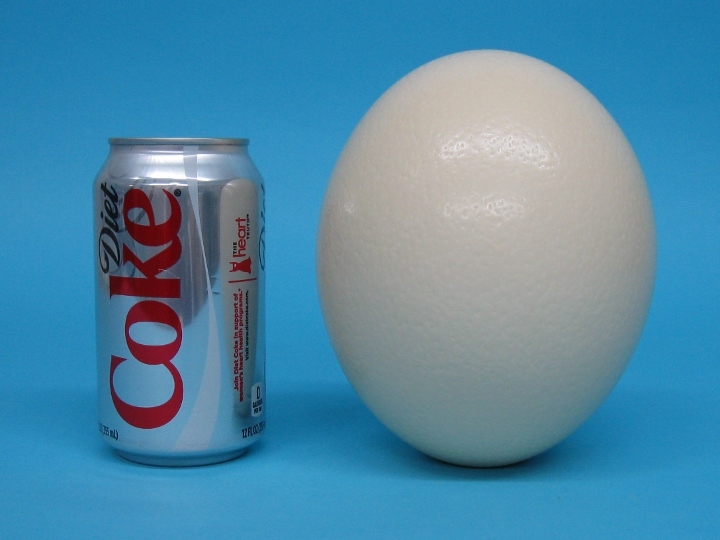 These are exceptionally nice, white egg shells from domesticated ostriches raised on ranches in South Africa. Each egg shell has been drained (there is a small hole at the bottom), cleaned, and disinfected with a 5% solution of formulin. The shells are about 15.2 cm (6”) tall and 35.6 cm (14") in circumference. 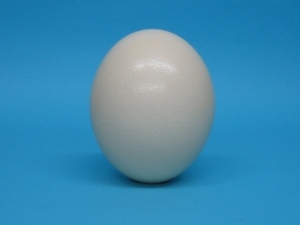 These egg shells are washed, sterilized, and fumigated according to international standards. They are of 1st-grade quality. Genus and species: Struthio camelus. Ranch. Ostriches are ranch raised in South Africa and are not endangered. They are not subject to CITES controls.